Hardline Crawlers > Classifieds > Vendors > ***Flap Discs, Flap Discs, Flap Discs!!! 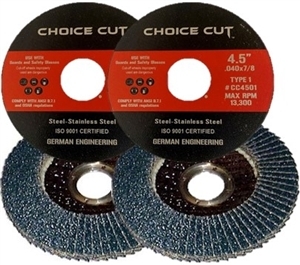 Same drill as usual…Use the COMMENTS section to let us know types and grits for the flap discs. If you leave this blank, we'll send T29 /10 - 40 Grit, 10 - 60 Grit and 5 - 80 Grit. Your link does not work!